Amazon sent ripples through the retail industry when it announced Prime membership to its US market in December 2005. When it first launched, Prime members could subscribe for $79 per year and receive free two-day shipping within the continental US on eligible purchases. It’s been over a decade since Amazon launched Prime. In that time, Amazon has expanded their original shipping program to include a myriad of Prime perks for US members, including free fast shipping for eligible purchases; streaming of movies, TV shows and music; exclusive shopping deals; unlimited reading and more. Just this past April, Amazon launched a Prime member program in 37 US cities that delivers packages to the trunks of cars for free! Amazon has also raised the Prime membership fee to $119 per year. Today, a version of Prime is available in all of Amazon’s fourteen open marketplaces. While streaming and other aspects of Prime membership vary per country, one thing remains constant: quick and free shipping. As Amazon has learned, if you promise to deliver a package in two days, you’d better make it happen. To set themselves up for success and meet customer expectations across the globe, Amazon built an extensive warehouse network with over 200 fulfillment centers around the world. An analyst from L2 Inc., a business intelligence firm, claimed that Amazon has warehouses within 20 miles of half the US population. 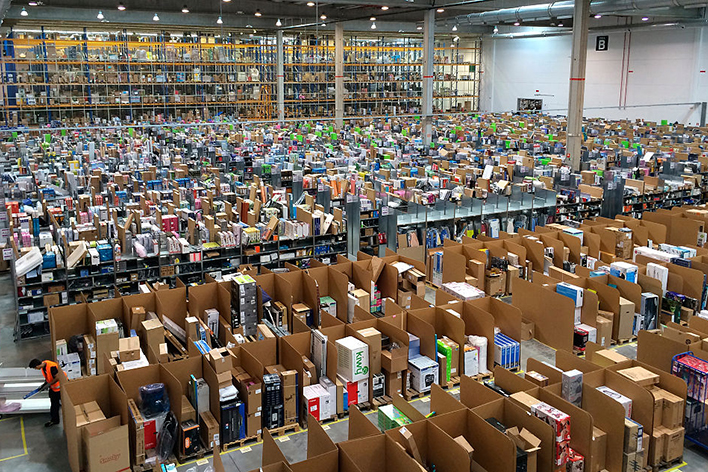 By distributing product via these warehouses, Amazon fulfills orders at an unprecedented speed. These warehouses have enabled Amazon to offer Prime Now to members in parts of the United States, United Kingdom, France, Germany, India, Italy, Japan, and Spain. This service delivers tens of thousands of products (including grocery and restaurant orders) to your door in under two hours. 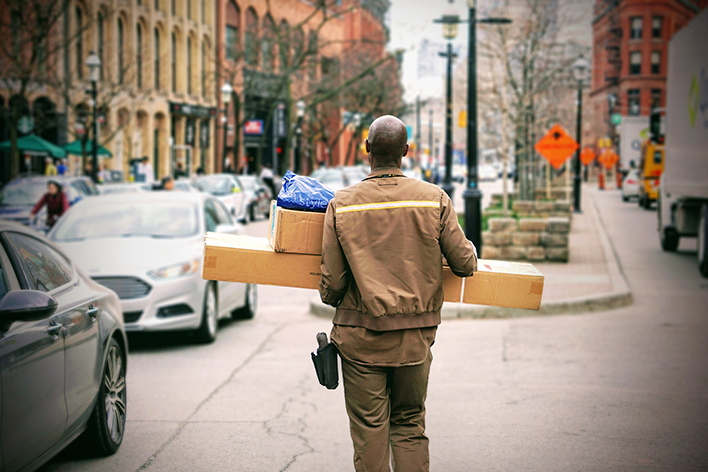 While UPS or other carriers like DHL or FedEx deliver the majority of regular Prime packages throughout the US, Prime Now has their own set of drivers to ensure quick delivery. In areas where delivery can be inconvenient or unfeasible, Amazon customers can select any Amazon Locker location as their delivery address, and retrieve their orders at that location by entering a unique pick-up code. This program addresses concerns of parcels being stolen or customers missing the mail delivery and is currently available in the US, Canada, France, Spain, Germany, and Italy. Finally, for those who prefer the traditional retail experience, Amazon has established pick-up locations. These are physical storefronts where customers can pick up or return purchased items. What is the rest of the retail industry doing to keep up? Traditional brick-and-mortar retailers and big brands are also rethinking their approach to shipping. Walmart, the world's largest company by revenue, is looking to provide shoppers with free two-day shipping without any membership fees. However, customers must spend at least $35, and only certain items (marked by a green “2-day” tag) are eligible for two-day shipping. Walmart delivers all other products within 3-5 days. Target, the second-largest department store retailer in the United States, acquired Shipt, a same-day grocery delivery service, in late 2017. Shipt utilizes local shoppers to make purchases from a nearby store and act as a delivery service. This platform allows Target to provide same-day shipping for items available locally. Like Prime, Shipt comes with a membership fee of $99/year or $14/month. Most major retailers now provide the option for customers to have their purchase delivered to their local store, where they can then pick it up or have it brought directly to their car with curbside service. 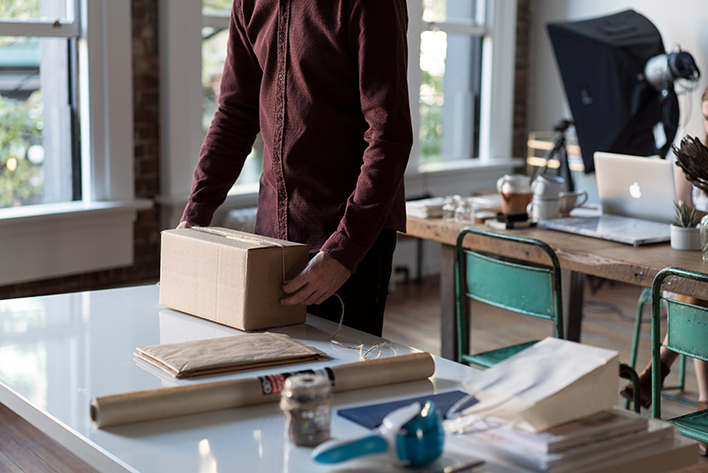 While this fulfillment method is not always as quick as Prime, it typically comes at minimal or no cost to the customer. In-store pick up can be a popular option for customers who don’t want a package sitting on their doorstep or live in a building where receiving deliveries is difficult. And what does this all mean for Amazon sellers? To be successful, you need to get your product to your customer as quickly and efficiently as possible. The easiest and most reliable option is Fulfillment by Amazon (FBA). With FBA, sellers of all sizes can take full advantage of Amazon’s extensive warehouse and shipping network to deliver their products across countries and continents cheaper and more quickly than would be possible on their own. Additionally, when Amazon fulfills an order, it takes responsibility for any shipping issues that arise. That means that Amazon can and will remove some product reviews about negative shipping experiences under certain circumstances. These benefits do not come free of charge. For every item that Amazon fulfills, you as the seller are charged a fulfillment fee and a storage fee. These fees increase during high-volume shopping times like the holiday season to encourage sellers to send and store relevant inventory. Costs will also vary depending on the volume you’re selling. It’s possible to avoid these fees by qualifying for Seller-Fulfilled Prime. This means that you agree to fulfill and ship orders to customers within two days. While this can be feasible for sellers with an extensive distribution network, it can potentially be more expensive and harder for small sellers to maintain. What comes next for Amazon? To drive new customers to Prime, and overtake the competition during the 2018 holiday season Amazon announced free shipping effective November 5. This US-only promotion waives the $25 minimum normally required for non-Prime customers. Any item with “FREE Shipping” on the product detail page that is fulfilled and shipped by Amazon is eligible to be delivered within 5-8 days free of charge. The offer is likely to expire once Amazon can no longer guarantee products in time for holiday delivery. Amazon is slowly rolling out a new delivery option for US Prime members called Amazon Day. The invite-only program lets members set a specific day of the week for their shipments to arrive. Most items that are available for two-day deliveries will get the new Amazon Day option. Another Amazon strategy in the works is their own delivery service. Rather than rely on third-party distributors, Amazon could control and optimize the entire delivery process. They’ve already put this in practice by utilizing their delivery vehicles for Prime Now. Amazon is also experimenting with Prime Air. This unmanned drone delivery service would deliver packages up to 5 lbs to your doorstep in 30 minutes or less. There are Prime Air development centers in the US, UK, Austria, France, and Israel. Currently, the program is testing aerial vehicles and working with regulators and the aerospace industry to ensure a safe, secure, and super-fast delivery process. Keep on eye on Amazon’s policies and fees as the company continues to expedite and evolve the shipping industry. Amazon’s retail revolution continues! Join us next week as we explore the changes prompted by the Amazon Buy Box and our top tips on keeping your prices competitive.